This guide contains all you need to know about acne and treating it with CBD oil. Explore the health benefits of CBD used internally and externally to treat different types of acne. Old or young, male or female: chances are, at any given point in your life, you will experience some type of acne. 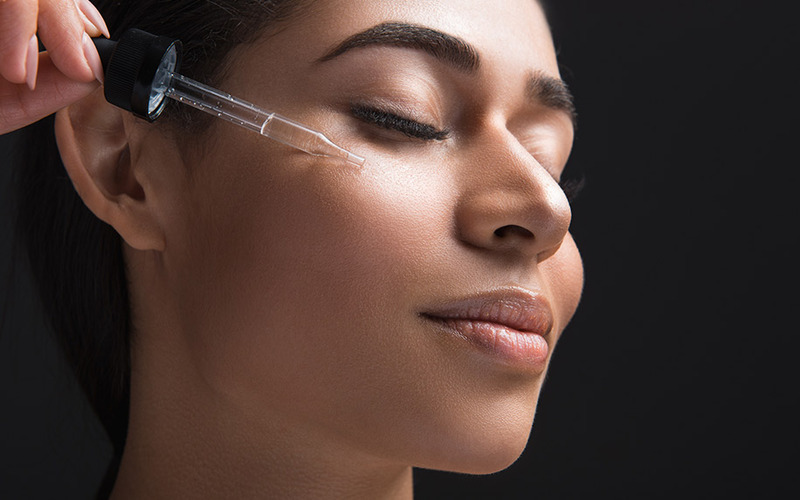 Whether it’s an occasional pesky spot on your cheek or persistent breakouts, trying to find the right weapon to use in the battle for clear skin can feel overwhelming. Many people put the blame on hormones or poor hygiene, but the truth is, acne can quite literally pop up anywhere, at any time, for a variety of reasons. Many people suffer unnecessarily, buying product after product in hopes of finding the secret potion for magically clear skin. The truth is, you don’t need to buy a bunch of high-dollar products or have an on-call dermatologist to help your skin health. 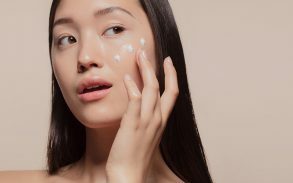 It can be disheartening to spend tons of money on products and services that promise clear, glowing skin, and still wake up to breakouts and inflammation. This problem is usually due to being unaware of what, in fact, is causing your acne in the first place. Acne is the product of your body’s natural oils and dead skin cells combined with all the wonders that the environment has to offer (like dirt, pollution, etc). All these elements then decide to host a party in one (or more) of the hundreds of pores on your face and/or body. What happens beyond that is entirely up to the type of acne you are experiencing. There are two major types of acne: inflammatory and noninflammatory. What you have depends solely on how inflamed the eruptions on your skin are. Even people with the clearest looking skin are likely hosts to the non-inflammatory type, like blackheads and whiteheads. These are rarely bothersome, although at times they can be unsightly. Inflammatory acne, on the other hand, can be quite painful. Because the pore is blocked with oil and pollutants, it allows bacteria to thrive. When the bacteria multiply and the immune system fights back, the affected skin tissue reddens and swells while the pore fills with more bacteria and pus. Acne comes in many forms, and while it’s most commonly recognized as the curse of prepubescents, clinical studies have shown that 40-55% (and rising!) of the adult population aged 20-40 suffer from low grade, persistent acne and abnormally oily skin. 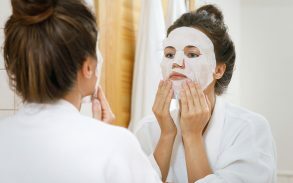 Whether you are experiencing acute stubborn spots or full-blown chronic breakouts, treating acne can be frustrating, embarrassing, and exhausting. But it doesn’t have to be! Follow this guide on how to effectively treat acne with a totally natural ingredient: the cannabis plant. One of the biggest mistakes we make when trying to treat acne is that we are usually more concerned with clearing the pimple than we are about determining why the pimple happened in the first place. Medicating with something like salicylic acid will simply dry the blemish up, which is nice…until it reappears again later down the road. This is because we didn’t actually treat the problem, we treated the symptom of the problem. It’s important to pin down what is causing your acne if you want to treat it effectively. You can do this by closely monitoring when the flare-ups are at their worst. Is it right after the gym? After you eat something or expose yourself to something specific? Are you experiencing a higher level of stress or not getting adequate sleep? Chin: Linked to the colon and stomach, pimples on your chin can appear after eating a greasy or heavy meal. This would suggest your acne is due to a generally poor, heavy diet high in saturated fats. Jawline: Breaking out along the jaw anywhere from the ear to chin is many times the first indicator of stress or a hormone surge/imbalance. If you are breaking out here, try reducing your stress by practicing mindfulness: begin taking regular walks in fresh air, draw up a warm bath with calming essential oils, or practice yoga and deep breathing. The jawline can also indicate bacteria being introduced from an outside source, like your cell phone. Make sure you regularly wipe down the electronics you use near your face, in case this may be the catalyst. Lower Cheek: This region of your face can be indicative of a slow metabolism or low absorption of nutrients. This area is believed to be linked to your lungs as well, and breakouts on both cheeks are found on many chronic cigarette smokers. Breaking out here can also be a reaction of allergies related to the respiratory system, so check your air filters and make sure you are breathing clean, quality air as much as possible. Nose: Linked to cardiovascular health, pay special attention to breakouts or redness on your nose as it could represent high blood pressure or irregular cardiovascular activity. Alternatively, it’s important to note that this (as part of the “T-zone”) is where many teenagers experience breakouts, likely having nothing to do with the heart or cardiovascular system and more to do with excess sebum (oil) production. Alternatively, blackheads on the nose could be genetic, strictly due to larger pores that are more easily clogged. Keep this area clean, exfoliated, and free of heavy, pore-clogging makeup and products. Temples: Growths of progressive acne here can indicate issues with the kidneys. Kidneys are damaged by too much sugar, some medications, and chronic infections. Drink lots of water and consider introducing more kidney-friendly foods into your diet like vegetables and berries. Between eyebrows: This area is associated with the liver. Many times people can link breakouts here to binge drinking, as alcohol puts a major stress on our liver. Other causes could be food allergies or a diet high in fat. If you are breaking out here, flush your system and rehydrate with lots of water, and pay attention to your diet and what foods you consume prior to breakouts. Forehead: This area of your face is connected to your bladder and digestive system. If you are breaking out here, it is likely due to dehydration or high sugar intake. Drink lots of water and reduce your sugar and simple carb intake. This Chinese practice goes beyond the face, as well. Acne on your neck can indicate adrenal overhaul or excessive sugar intake, shoulders point to stress (or staying in sweaty workout clothes too long), acute breakouts on your chest could mean problems with your digestive system, so watch your diet and take note of anything that could instigate an allergy (which is basically anything). Acne on your arms could indicate poor nutrient absorption, or that you’re not feeding your body enough vitamins and minerals, while a breakout on your stomach could mean high blood sugar levels or impaired glucose tolerance. There are many different solutions and products available for treating both inflammatory and noninflammatory types of acne, ranging from oral hormonal medications (like certain birth control medications) or topical creams that contain medications like benzoyl peroxide or salicylic acid. The problem with remedies like these are that many times, certain medications are designed to treat only specific types of acne. If you are experiencing breakouts due to allergies or diet, hormonal medications likely will not be your answer. Alternatively, if your acne is due to hormonal changes or genetics, a topical treatment may help clear some of your symptoms, but has no way of preventing the breakouts and fixing the actual problem. This is how people get caught in a cycle of constantly treating their acne without actually curing it. What are different types of acne? It is usually pretty easy to determine what type of acne you are experiencing just by looking at it. Make sure you are using good lighting, and a good magnifying mirror if possible. Make sure you try to keep your hands off the infected areas as much as possible to prevent exacerbating the problem. Need more help identifying different types of acne? Check out The Different Types of Acne for more in-depth information. Your body is composed of many different systems to help keep it running the way it was designed to run. If any of these systems get agitated, it can lead to a whole slew of complications. For example, your immune system, when functioning properly, is designed to destroy germs, bacteria, and parasites that threaten the overall health of your body. Your endocrine system produces hormones and regulates metabolism. If either of these systems are thrown off or weakened, it will manifest in many different, very obvious ways in order to alert and motivate us to get things back on track. CBD boosts the number of the body’s natural cannabinoids by destroying the enzyme that inhibits endocannabinoid production. The body needs these natural cannabinoids to promote cellular communication and homeostasis. When your body is functioning properly, your skin is happy. CBD discourages and calms inflammation by decreasing the production and release of pro-inflammatory cytokines. It also assists by suppressing fatty acid amidohydrolase activity, which results in an increased concentration of the anti-inflammatory endocannabinoid, anandamide (also dubbed, “The Bliss Molecule”). 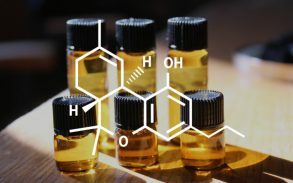 CBD acts as a powerful antioxidant , slowing and even preventing the oxidation of other molecules and eradicating free-radicals and their damage to these cells. In short: cannabidiol’s antioxidants can slow down and even stop the oxidative damage that causes the skin to age. CBD kills bacteria and inhibits its growth, which is essential when treating acne, particularly inflammatory acne. In addition to that, its antiseptic qualities inhibit the growth and reproduction of many microorganisms, including fungi and viruses. 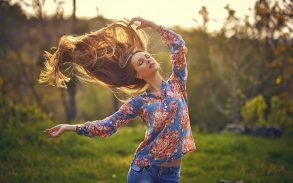 The ECS has also been found to play a very important role in the secretion of hormones related to reproductive functions and response to stress. Hormonal acne typically affects teenagers and women (pregnant, menopausal, or menstrual), although it can come up for anyone at any time, as we all have hormones. You won’t meet much success by treating this type of acne topically, although some treatments can help reduce the symptoms. Since CBD works within the ECS, it has some powerful, positive effects on the endocrine system and hormone secretion. Another benefit to taking CBD oil internally is that it can help with flare-ups that are otherwise difficult to treat topically. 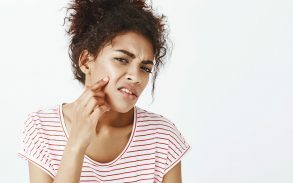 Cystic acne , for example, is where sebum, skin cells, dirt, and bacteria get trapped into a pore that is either too small or too inflamed to release it. As a result, the infection gets pushed down deeper into the skin, causing red, swollen, painful bumps (cysts) under the surface. Trying to manually extract these can be next to impossible, and highly discouraged unless being performed by a licensed professional. The best way to treat cystic acne is from the inside, where the bacteria can be killed and the inflammation can be soothed from the source of the problem. Learn more about balancing hormones with CBD oil at CBD Oil: The Holy Trinity in the Treatment of Cystic Acne. 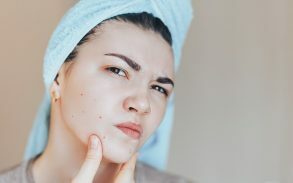 In addition to using CBD oil internally to tackle the production of acne from the inside, it has also shown to be a powerful tool in reducing physical symptoms of acne when applied topically. This is largely due to the antiseptic and anti-inflammatory properties of CBD. Cannabis products mixed with skin soothing essential oils like lavender, chamomile, or neroli can be a potent antidote for infected areas. Just like our brains and throughout our bodies, our skin also has thousands of cannabinoid receptors, making topical ointments especially ideal for treating acne effectively. Many of these products are designed to enter the bloodstream via the skin, working not only as a topical medication but also allowing the molecules to penetrate into the bloodstream directly, without having to wait for it to run its course through the digestive system. Although there are very few side effects to ingesting CBD and even fewer when using it topically, every body is different and it is important to exercise caution especially when using new products. Do your research and purchase from reputable companies who make products with natural ingredients and are willing to answer all of your questions. Like any plant allergy, it is quite possible to have an allergic reaction to cannabis and cannabis products. You can do an at-home allergy test by rubbing a small amount of product onto a quarter-sized area of skin on the inside of your elbow. Don’t wash it off for as long as possible, and check the area 24 hours later. If no redness, swelling, itchiness, or other irritation occur, you’re good to try the product on your acne. If you have any concerns or questions regarding your results, wash the area thoroughly with mild soap and contact your trusted medical professional or the company you purchased from. Read more about treating acne topically with CBD in our article: How CBD Oil Can Be Used To Treat Acne. Because effectively treating acne is more about the cause than the symptom, actively preventing it from happening in the first place is your best bet for a pimple-free complexion. After you have used CBD oil to treat your acne, you can continue to use it as a preventative. This is because CBD is chock-full of essential fatty acids. Omega 6 is essential when treating acne, as it is a critical element in the regulation of inflammation. It also helps stimulate skin cell rejuvenation, alleviates symptoms associated with skin sensitivity, and assists in building the structural integrity and barrier function of the skin. Omega 3 , also an anti-inflammatory, has been linked to aiding the body in aging at a healthy rate. It also helps correct sebum imbalance and regulates oil production, skin hydration, and elasticity. Amazingly enough, quality raw CBD oil offers a perfect 3:1 EFA ratio, packing in the most benefit for preventing future outbreaks. EFA’s are important structural components of cell membranes throughout the body. They help skin cells stay flexible, allowing nutrients to penetrate the cells all while allowing toxins to exit freely. EFA metabolites also “waterproof” the skin, creating an antimicrobial barrier against the elements. This means, essentially, EFAs kill and inhibit the growth of microorganisms (like bacteria) all while causing little or no damage to the host. Cannabis products like CBD oil are also high in antioxidants. 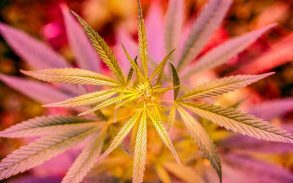 In fact, although the DEA and FDA refuse to acknowledge cannabis as a medicine or a dietary supplement, the U.S. government patented cannabidiol specifically as a powerful antioxidant, showing once again that marijuana laws are a little behind the curve. Antioxidants protect your skin (and, as a result, all the organs underneath your skin) from free radicals. Antioxidants found in CBD oil are also beneficial for calming inflammation, firming the skin, reducing the appearance of and preventing future wrinkles, repairing sun damage, and treating acne scars. Long after your acne is gone, it is quite possible to have impressions left on your skin as a reminder that acne was once there. Depending on the severity, acne scars can be difficult to treat, however, not impossible. Because antioxidants are known to have cell repairing properties and aid in tissue growth, they contribute in a huge way to reversing acne scars. When applied topically, antioxidants found in CBD promote blood flow to the affected area. This encourages the body to repair itself by building softer, new skin cells to replace the tough scar tissue. 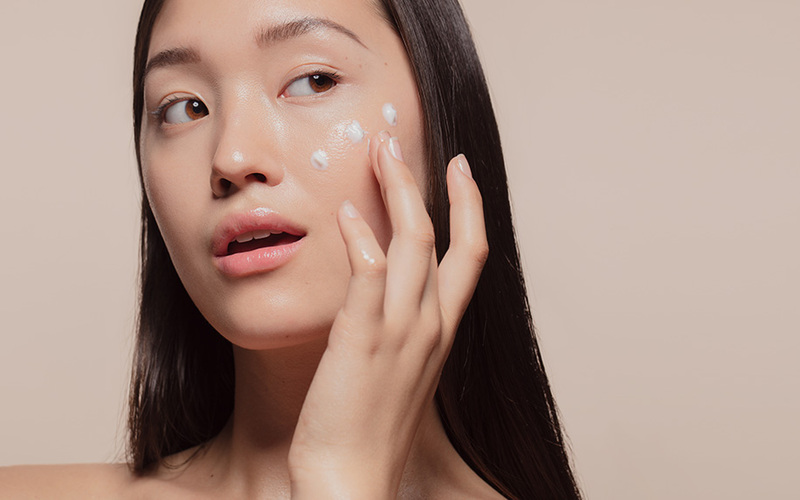 It’s no secret that cannabis products can be beneficial to your everyday skin care regimen and act as a powerful tool in treating acne scars, combating existing acne, and preventing future outbreaks. How long it will take to notice results depends largely on the severity of the problem and the quality of product you are using. If you stay consistent in your routine and use a high quality cannabis product, you could see results within as little as a few days. Major results can take a few weeks, as boosting skin cell rejuvenation can take some time especially if your diet has been poor or you are battling any food/environmental allergies. Work with a licensed professional if possible, especially when treating severe cases of acne or acne scars. Be patient and vigilant, and you are well on your way to healthy, happy, skin. Read more about treating acne scars: CBD Oil for Acne Scars: An Ounce of Prevention is Worth a Pound.